One of the coolest tech gifts in its price range, the all-new Amazon Echo Plus has a sleeker design and much better sound than its predecessor. 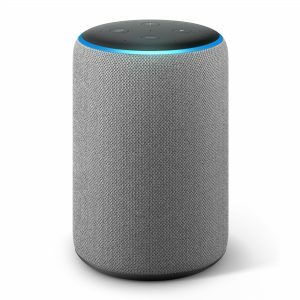 The device’s Dolby-tuned hardware delivers 360-degree audio with a more robust bass, while seven built-in microphones ensure that Alexa will hear commands better than ever. The available fabric finishes for the speaker include include charcoal, sandstone, and heather gray. The speaker comes bundled with a Philips Hue smartbulb, so it’s perfect for smart home beginners. This gift would be perfect for college students or someone who wants to begin turning their home into a smart home. For those entertainers in your life, they would thank you for an amazing new gadget that will help them with their future home parties.